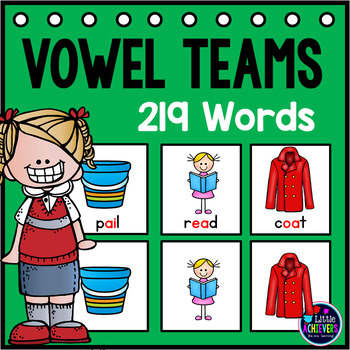 This packet includes 219 Vowel Team cards for pocket chart center or activities. 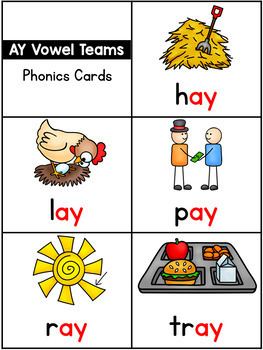 Each card displays a word and a picture to go with it. I’ve also included headers (within each file) and black letter tiles (in two font sizes) with the red-color option for vowels. The possibilities for these cards are endless. 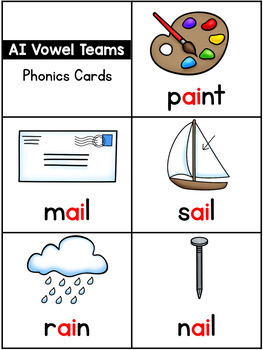 These can be used to introduce phonics words to larger groups, smaller groups, during RTI time, one-on-one instructions, as a literacy center activity, for review, or as a free-time activity to keep your students engaged. You can laminate them, store them in an envelope or Ziploc bags, and have them ready for many years to come. Or, you can also hole punch these cards on rings. 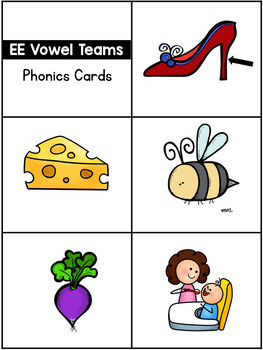 These cards go well with my Phonics Clip Cards BUNDLE. Please click here to buy the bundle.